Russian can be a very complex language. However, many parents are very interested in helping their children learn the Russian language. Why? First of all, the Russian culture is very interesting and rich, and those who can speak the language will be able to appreciate it even more. Also, learning more than one way to communicate helps develop an child’s cognitive abilities, strengthens their focus, and builds more neurological pathways within the brain. But more than anything, Russian is a very beautiful, unique language! The best time to expose a child to foreign languages is to do so as soon as possible. When a child's brain is still in its developmental stage, the child is better able to pick up and retain foreign languages. One of the best ways to help your child learn is through books. One great book to get started is a book on how to read the Russian alphabet. These books feature pictures of easily recognizable subject such as animals, which can help a child understand each letter. There are several books on how to learn the Russian alphabet for children, all with beautiful, easy to understand images that will make these alphabet study guides effective and fun! Of course, helping kids learn to read and speak Russian isn’t just about letters! It’s important that they know numbers too. “Learn How to Count in Russian” is an educational and colorful book with text and pictures designed to teach how to count in Russian. 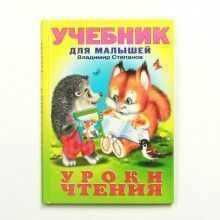 This is a great book for children as well as adults who are trying to learn Russian. A fun way to get your child excited about Russian is to teach them a few Russian phrases. The book “Russian Verses for Little Children” has short poems that are written in Russian. Comparable to American lullabies, these poems are meant to entertain while also teaching. You’ll find yourself looking forward to each new poem as your child is learning a new language! Need help with a few other options to teach your child Russian? The Russian Store carries quite a few items that can help your child learn this new language. Russian coloring books are a fun and engaging way to illustrate words, numbers and concepts while your child is absorbed in reading. Try “The Alphabet Coloring Book” which is both a coloring book and a sticker book! Twice the fun! The Russian Store also carries Beauty and The Beast, Snow White and the 7 Dwarfs and Tangled coloring books for your child to adore. Playing cards are a fun and unique way to learn a language and The Russian Store carries several types! A fun version for kids are the Nesting Dolls Playing Cards which has 55 different matryoshkas to look at! Ready to teach your child (and maybe yourself) Russian? 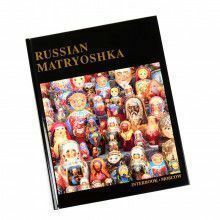 Be sure to check out all that The Russian Store has to offer in books, cards, coloring books and more!